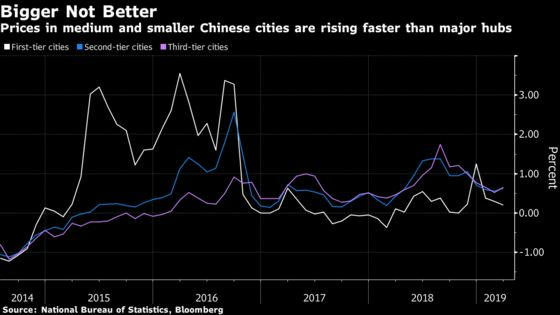 New-home price growth in China snapped a four-month weakening streak, one of the first official signs there may be a widespread recovery in the nation’s housing market. The biggest gains came in Dandong and Jinzhou, cities with populations of about 3 million. Smaller cities generally enjoy looser property policies, and buyers could flock back into the market once they sense demand is rebounding in bigger towns, said Yan Yuejin, an analyst at China Real Estate Information Corp.